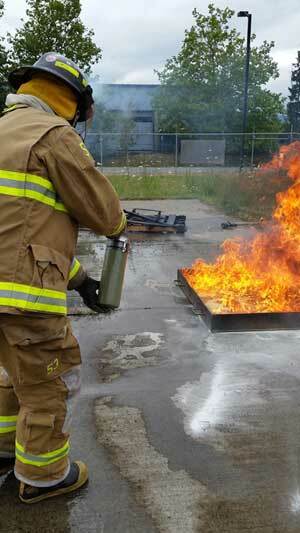 Parksville Fire Rescue uphold a proactive method to firefighter training. All members are trained to National Fire Protection Association standards with many members attaining professional qualifications in NFPA 1001 Level 2. When accepted as a volunteer, recruits undertake the department recruit training program. This program runs about one year and will help recruits become familiar with Parksville Fire Rescue, how we work safely, equipment used and how we deal with the threat of fire. 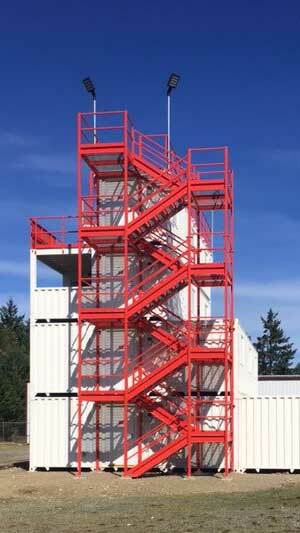 Later, recruits will train in advanced firefighting, technical rescue and first aid. On a regular basis, the department hosts specialized training opportunities in such areas as hazardous materials training, rope rescue, confined space, driver/operator training and leadership skills.